Bentley launches a new fragrance inspired by seacoast air and a relaxing ride along the shore. 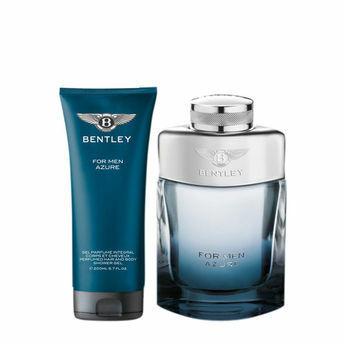 Its name is Bentley For Men Azure and it comes in a bottle where colors vary from pale gray to blue. It is a relaxing blend of notes, giving the impression relaxing at the sea side with salty air caressing the senses.The top notes of fresh citruses include juicy pineapple and herbal aromas of violet leaf. The heart emphasizes pepper, lavender and sage surrounded by tea and placed on the base of cashmere wood , tonka bean and orcanox molecule.